"A 1-percent slowdown of China's economy leads to a 0.5-percent slowdown for Russia in the medium term," says Elvira Nabiullina. Head of the Russian Central Bank at a news conference on the design of the new 200- and 2,000-ruble banknotes. Representatives of the central banks of eight countries, including Russia and China, spoke recently in St. Petersburg about how the unpredictable economic and political events of the last year have influenced their financial policies. At the end of June, Russian Central Bank Chairwoman Elvira Nabiullina, who was recognized as the best central bank director of 2015, spoke at the International Financial Congress in St. Petersburg about how world events that were difficult to predict have become economic shocks and annulled established financial practices. Seven of the other central bank directors participating in the event – from China, Switzerland, Iceland, Israel, Chile, Croatia and Kazakhstan – shared her point of view. Economists call the events that were difficult to predict and that influenced the world system "black swans," in reference to Nassim Taleb's book The Black Swan: The Impact of the Highly Improbable. According to Nabiullina, for the world economy in 2015 these events were the protracted fall of oil prices and the markets' volatility, which was caused by the slowdown of China's economy. "A 1-percent slowdown of China's economy leads to a 0.5-percent slowdown for Russia in the medium term," said Nabiullina. "But this is only if the current structure of our relations and our turnover is preserved." Russia's challenge, in her opinion, is to reorient itself towards China's rapidly growing economy sectors that are related to consumption and the post-industrialized economy (the so-called third sector). "This year is still not finished and one 'black swan' has already flown away: Brexit. It was also unexpected for the market," said Nabiullina, adding that the UK vote to leave the EU can be viewed "in a broader context, as a request for change." Such a request, in her words, came about because of several factors: the slowdown of the world economy in the current decade, the accumulation of a debt burden, the growth of socio-economic inequality and the increase in the divide between the wealthiest and the poorest layers of the Russian population (the Gini coefficient measures it between 0 and 1; the closer the indicator is to 0, the less inequality). According to the World Bank, in the 2000-2012 period the Gini coefficient in developed countries grew by 10 percent to 0.22, while in Russia this indicator increased from 0.37 to 0.415, said Nabiullina. All this leads to populism or "easy solutions" in politics and to events such as Brexit, which can result in economic destabilization, she explained. In conditions of growing volatility in the markets, world central banks can no longer employ soft monetary policies since they carry more risks than advantages, said Nabiullina. Fritz Zurbrügg, vice chairman of the Swiss National Bank, agrees with her. For a long time Switzerland experimented with keeping its currency inexpensive, which resulted in negative key rates. But today the country has decided to renounce its soft monetary policy and introduced a floating exchange rate and a short-term key rate, said Zurbrügg. According to Oleg Smolykov, deputy chairman of the Central Bank of Kazakhstan, the policy of inflation targeting helps reduce the risk of currency volatility during crises. In 2014-2015 Kazakhstan's national currency, the tenge, significantly lost its value, just like the ruble. Inflation in both Russia and Kazakhstan last year was 12-13 percent. Thanks to inflation targeting, the Central Bank of Kazakhstan was able to reduce the inflation pressure and increase the pace of de-dollarization. 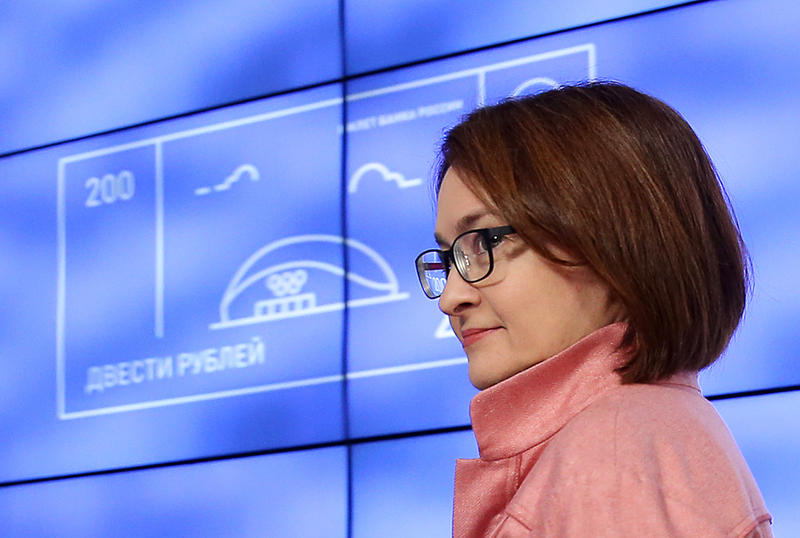 The achievement of the inflation target is impossible without first carrying out structural reforms of the central bank, affirms Nabiullina. Zhang Tao, deputy governor of the People's Bank of China, is of the same opinion: "Currently the yuan's exchange rate is very flexible. China's monetary-credit policy will preserve its flexible nature. Its aim is to guarantee reforms in the financial sector," said Tao. Read more: Russia’s economic dilemma: Are higher oil prices a blessing or a curse?